Johnson State College provides about 1500 students with a liberal arts education, as well as an array of professional degrees. 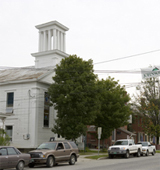 The school is located in the idyllic small town of Johnson, VT, about 45 miles from Burlington. When students feel the need to kick back, the school provides transportation to the nearby Smugglers Notch Ski Resort. Describe the type of student who should not attend Johnson State College and explain why. Describe the type of student who should attend Johnson State College. Why? What is a typical Johnson State College student like? Describe the type of person that should attend Johnson State College. What are the top 3 reasons someone should attend Johnson State College? What was a typical Johnson State College student like in high school? Describe the type of person that should attend Johnson State College. What does Johnson State College stand for? What will your experience be like as a student here? You can begin to understand by learning about our mission, values and history. The Johnson State community believes in the power of higher education to transform lives. We express this commitment through an education that crosses academic and other boundaries, wherever possible; creates opportunities for students to extend their classroom learning to the field, the laboratory, the studio, the community, and the local and wider world; recognizes the diverse starting points and goals of students; and sustains active participation, high standards, vigorous debate and mutual respect. Johnson State began as an elementary and secondary school in 1828 and was chartered as Johnson Academy four years later. In 1866 the State of Vermont designated Johnson Academy as a "Normal School" -- an institution exclusively for teacher training. Over the next eight decades, the Johnson Normal School offered one-, two- and three-year teacher-training programs. The school became Johnson Teachers College in 1947, when the state approved a four-year teaching program. In 1962 Johnson State College assumed its current name, signaling a change in mission from a single-purpose teacher-training college to a college that teaches the liberal arts and prepares students for a range of professions. Over the last four decades, we have expanded our curriculum in the professional programs and liberal arts and sciences -- and we have boosted our enrollment and built new facilities to meet this mission. Today, our modern, 14-building campus spreads over 350 hilltop acres and serves nearly 2,000 students. What are the top 3 things that students do for fun at Johnson State College? The three things that Johnson State College students do to have fun: Join a club, which Johnson has many different types, play a sport, or hang out with friends on campus going to the multiple events Johnson State College provides. The average student pays $13,775 for tuition, fees, and other expenses, after grants and scholarships. Learn more about financial aid at http://www.jsc.edu/admissionsandaid/default.aspx. Estimate the net price for you at http://www.jsc.edu/admissionsandaid/financialaid/default.aspx. Johnson State College participates in the NCAA Division III for college athletics. Want more info about Johnson State College? Get free advice from education experts and Noodle community members. It does not seem that Johnson State College offers nursing degrees, however you can find other medical degrees that the school offers on the Academics tab of the college profile.